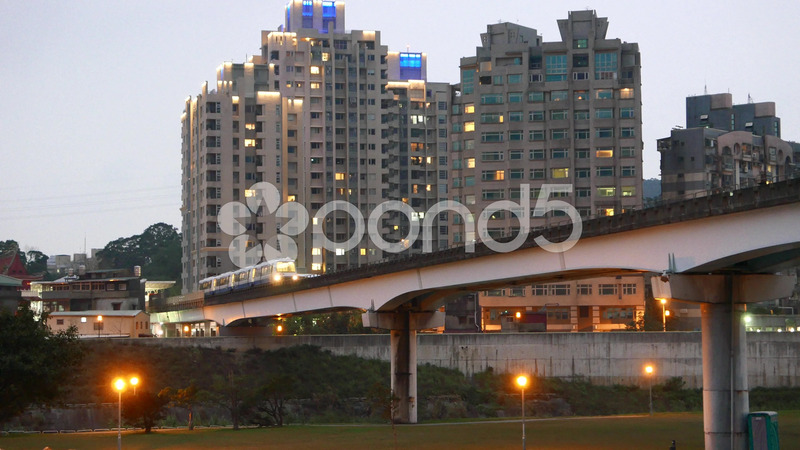 Description: Metro train passes bridge against building facades, twilight time. Static camera, shoot from tripod. Evening time and lighting, train windows brightly illuminated. Taipei Rapid Transit System outdoor part, overpass bridge.